"Nomad. I'm looking for a certain person who betrayed me. I'll cooperate with you, in exchange for information." Nomad. I'm looking for a certain person who betrayed me. I'll cooperate with you, in exchange for information. Who is this I see behind you, scum? Hmm, it shouldn't take more than five minutes to make you talk. The blaze of revenge burns in my heart. Harrowing Vengeance; Burning Bright! At this rate, there's no way you'll catch up. Until I can find vengeance, my flames won't go out. RAAAAAAAAAAAAAH! I'm not done...! I was so close to finding him..... this must be a joke, right...? A capable jack-of-all-trades Transient who also carries out bodyguard and detective work around the Kabukicho area in Shinjuku. the name Nomad is a pseudonym he uses when dealing with clients. He has been modified against his will to look like a tiger and is currently in search of the culprit, upon whom he would exact revenge. A freelance bodyguard and detective operating primarily in Shinjuku and Kabukicho, "Nomad" is an alias he uses with clients. 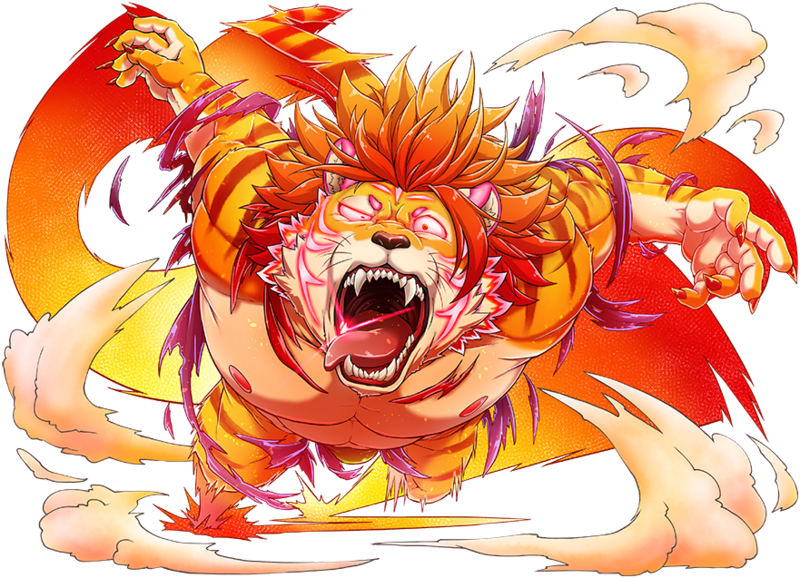 His appearance as a tiger beastman is a result of modification, performed on him against his will. He's seeking out information on a certain individual in order to exact his revenge. Embedded in his fang is a switch that activates teleportation, allowing him to move at incredible speed, as if everything else around him has frozen in time. He is so quick that his clothes and accessories burn up as a result of the air friction around him and he flares bright red like a shooting star. After he was summoned to Tokyo, he got his hands on a motorcycle that he cherishes. He can typically be seen riding down the street called Meiji-doori between Shinjuku and Ikebukuro. Nomad uses a special device embedded in one of his fangs in battle. To the naked eye he appears to teleport, but in reality he is moving at incredible speed. Unable to stand the friction, his clothes are burned away in the process, wreathing his body in flame like a comet. After being summoned to Tokyo Nomad picked up a taste for biking, and can often be seen cruising the Shinjuku-Ikebukuro area, his chosen stomping grounds. I'll help you just for today, come over here and warm up...... Don't get the wrong idea! I'll be in trouble if my assistant catches a cold! I'm prepared to fight with my assistant. Don't do a bad job now. This swimsuit is specifically fireproof. I will not hesitate! Vengeful Slaughter, Burning Bright! I will not stop until I get my revenge. It is still the same even being on an island! He carries the flame of vengeance within his chest, and he is fated to drift to many locations. You could also call it his "role." But perhaps because of that he has once again drifted to where he is tied by fate to someone, to this hidden island. With his great will to live, he participates in searching for food and exploring the island. However, deep within his heart he is not fond of drifting and holds complicated feelings about it. The Hallowed Artifact placed in his molar is not limited to granting him high speed mobility. It is the hidden future potential of mankind itself with what can be called the power to master "space." Because of his experience with drifting, he commiserates with those who know the same pain. 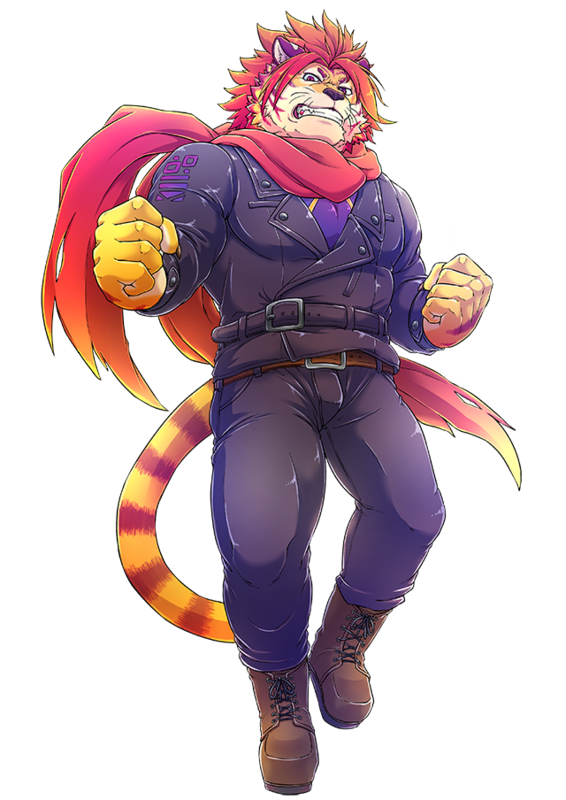 Bara cat is the cutest! Holding him in my arms! Giving him little kisses on the cheek! Whispering sweet things to him! Holding his big hand and going everywhere together! Falling asleep while cuddling him! He's actually one big adorable tsundere, isn't he? Welp, this is no exception to me always falling for the tsundere dudes... good riddance. This page was last edited on 4 March 2019, at 22:29.